Thanks to Elmer’s for sponsoring today’s post! I love being a part of their Crafty Mamas team, but rest assured that all opinions are honestly my own. Fall is fabulous for so many reasons, but one of our favorites here in the Artsy House is that it’s Football Season! We are avid Ravens fans around here, and we also manage a fantasy team, so we get excited about all things football. Little Crafter and I took advantage of the season to create our own little mini-football field in a pot using supplies we had in our crafting stash. It was super-easy and he is so excited about it…take a look! Step 1: Paint your pot green and let it dry completely. It will most likely need more than one coat. Step 3: Use a white Elmer’s Painters marker to mark yard lines around the rim of your pot. Step 4: Fill the pot with soil and add grass seed. Step 5: Push your goal post into the soil. Water the seeds daily and place the pot in a sunny location, and before you know it, the grass in your field will be growing tall! What do you think? You could always customize this project too, by using your favorite team’s colors, logo, or anything else you like! Little Crafter has been enjoying watching the grass grow and he shows it off to everyone who visits. Do you know some football fans who might enjoy it too? Looks like a cool craft to get the kids into the sport! Amy I absolutely LOVE this “football field”. 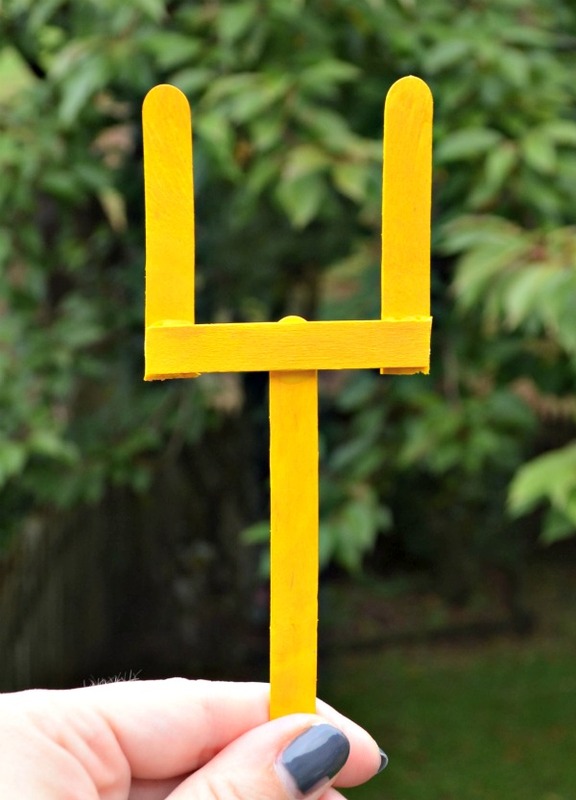 It would make a great decoration on your football party table! This looks like a really fun “boy” craft! I love it. Thanks for sharing the idea and post. What a fun and cute craft!! It’s super cute!! Once again, you have made me smile! I love this idea! How fun for the kids to make for big game get-together and a favor to take home after the party!! Aww… so cute! This would make the cutest gift for a football loving co-worker!